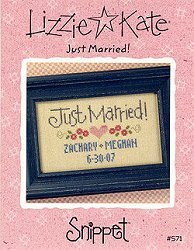 Navigate: StoreFront / Cross Stitch Patterns By Designer / Lizzie Kate / Lizzie Kate Snippet - Just Married! Lizzie Kate Snippet - Just Married! Just in time for summer weddings! Our quick wedding sampler has space for personalized names and dates. 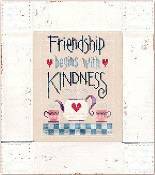 Best of all, you can stitch it in time for the big event, or use it to commemorate a special anniversary.